We specialize in building applications and web sites that directly match your needs and your personality. We strive to create your vision, not ours. Here are just a few examples of projects that we have built for our clients, what can we build for you? Applicant Secure is a company that specializes in background checks. Reverie Designs created the initial site and gave it the look and feel. We at Computer Magic then stepped in and added the working pieces. Now, the folks at Applicant Secure can make their sensitive information available 24 hours a day, 7 days a week in a secure and flexible manner via the Internet. User manager - Allows the folks at Applicant Secure to manage their own clients' login information. Security is built into the web application. Entering background check information - Adding information to the database is as easy as filling out a form. 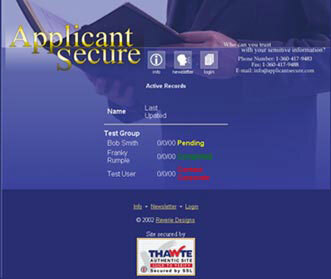 Client Login - Clients of Applicant Secure can log in and review their information as soon as it is ready. 24/7 Availability - Clients of Applicant Secure are able to access their information any-time from any computer that has Internet access. SSL - Access to Applicant Secure is kept secure through industry standard protocols such as SSL. Integrated billing system automatically generates invoices in PDF format, saving hours and eliminating the need for separate accounting software. 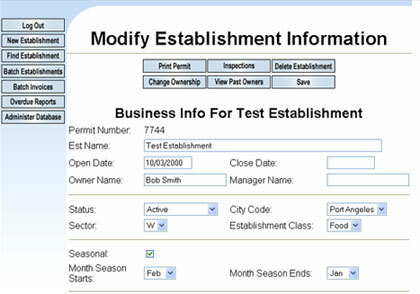 The Clallam County Environmental Health division was in need of a new more flexible database solution to track information on establishments and issue food permits. One of the main requirements was that they wanted to be freed from having to call a programmer every time they needed to adjust spelling or pricing or any number of other small changes. Using ASP and an Access database as the back end, they now have a solution that allows them to manage their own users, inspections, billing and payment information, and even their own display. The main database is an intranet web site and therefore is not available to view, but through this system you can now access a portion of the database to find inspection reports on your favorite restaurants. User manager - Define and set permissions internally within the application. Manage Information for establishments all over Clallam County. Enter and manage inspection reports. Create individual invoices or batch a set for the whole list of customers at once. No hard coded information - All prices and other information is contained in lookup tables for easy access (no calling a programmer to add or subtract from your lists of options). Direct access to HTML - Administrators have the power to change the display of the application when needed. This special interface allows them to edit HTML code without having to get their hands dirty wading through the ASP code that runs the application. Search capabilities - An extensive search engine allows for quick and easy retrieval of establishment criteria. 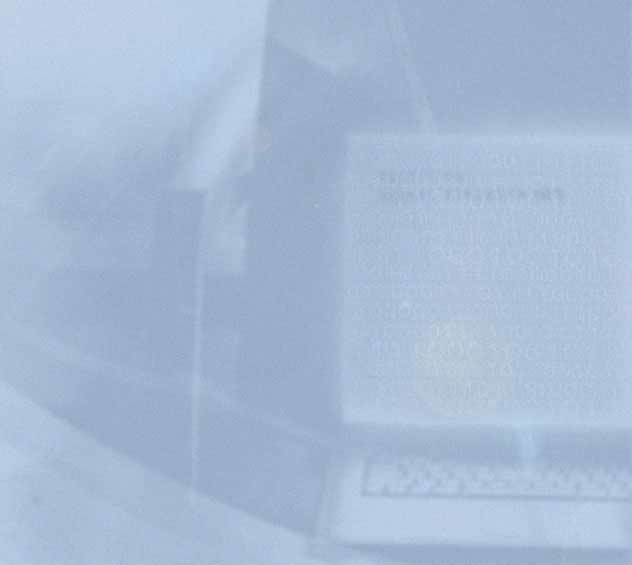 Public interface - The public interface allows anyone with access to the web to view inspection reports on any establishment in the database. Medical billing is a highly technical and highly lucrative business. As a result of the tremendous cost of medical treatments today, medical billing software can get quite expensive. Many schools can't afford such an expense as the cost alone (even at an educators price) is often more than the tuition paid by the students! This simple fact has kept many students from the opportunity to learn to fill out the forms electronically. The Edumed training software was created in direct response to this problem and offers students the ability to learn to complete HCFA forms electronically without the tremendous cost associated with most of the software available today. Instructor can have multiple courses and create their own student accounts, as well as manage their own enrollment. Students can fill out HCFA forms and save them for later or submit them to their instructor. Instructors can review the HCFA form and send back an EOB (Explanation of Benefits) response to the student. Students can review their EOB (Explanation of Benefits) information from the instructor and, if they desire, copy the current form and resend it with needed corrections. Content management system developed here at Computer Magic enables complete separation of code and display allowing for quicker, easier updates and transitions. Entirely web based interface means that there is never any software to install or update! Home | My Blog | Products | Edumed | JParks Design | About Us | Portfolio | Services | Location | Contact Us | Embedded Python | College Courses | Quick Scan | Web Spy | EZ Auction | Web Hosting This page has been viewed 17302 times.